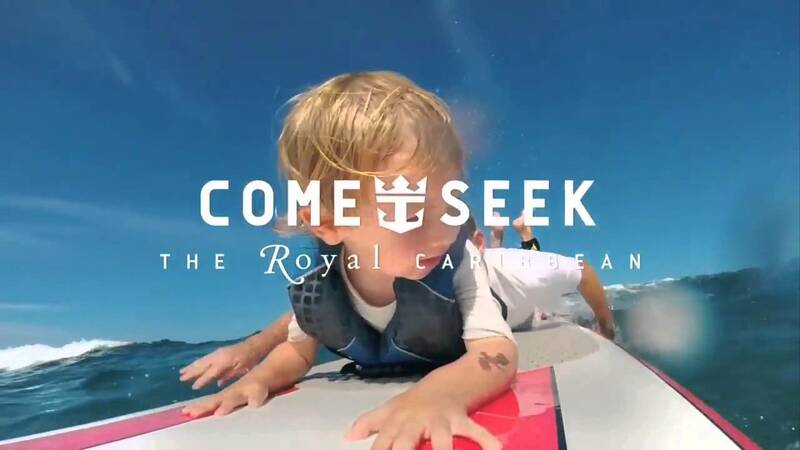 Royal Caribbean is launching a new marketing campaign entitled, "Come Seek", that aims to show a Royal Caribbean cruise is more than just a vacation on a floating hotel. The new campaign will debut on October 19, 2015 and conveys that a Royal Caribbean vacation is not simply a cruise and those that take a cruise are not taking a conventional vacation. Royal Caribbean's multi-million dollar campaign wants to "roll out red carpet for next generation of cruisers" that are not just new to cruising, but also tech-savvy and relish an immersive and experiential kind of vacation. Royal Caribbean are calling these people "Seekers" because, travel is not about vacations or being a tourist: travel is a way of life. "Come Seek" has three main messages: This is not a cruise; You are not a tourist; This is not the Caribbean. At the end, it ends with simply, "This is the Royal Caribbean". Through a variety of channels, Royal Caribbean aims to have "Come Seek" invoke imagery of mashing up surprising onboard experiences, such as North Star, the FlowRider and connecting on social media with Voom high speed internet. In addition, Royal Caribbean wants to show the depth of places to explore in the Caribbean. All of this works towards giving guests experiences and memories that they cannot wait to show off to their friends and family. New television ads will begin to debut on the October 19th in 15 and 30 second spots. In addition, Royal Caribbean will be add 5 second ads in programs with heavy live viewership, such as The Voice and Late Night with Jimmy Fallon, with a 30 second ad later on to expand upon the 5 second teaser. Guests will also see 5 second ads will run across the web including Facebook, Instagram, Twitter and YouTube. Perhaps one of the most innovative parts of this new campaign are the brand new "live billboards" in the New York city area that will feature live look-ins to Royal Caribbean's ships. Two hundred and thirty geo-target units across New York City will show live broadcasts via Periscope in high traffic commuter areas, such as John F. Kennedy International Airport terminal, newsstands and subways. Using the Voom high speed internet, these live tune-ins from the ships to show off the experience as it's happening in real time. These live look-ins will occur throughout the month of November and be shown around peak commuting times. Most, if not all, of the tune-ins will come from Anthem of the Seas sailings. Royal Caribbean will also look to guests to suggest experience that Royal Caribbean should broadcast back on Periscope. Royal Caribbean is also trying something else new to show off the kind of amazing experiences waiting in the Caribbean with a new Tumblr page called, "Uncharted". Royal Caribbean crew members will become ambassadors and share content as they experience it on their cruises. These Uncharted experiences will also be on the website, advertising and social media. If it proves successful, the program could eventually extend to guests and travel agents. Royal Caribbean believes authentic experiences will be something guests really value and notice. Royal Caribbean is very cognizant that consumers are used to being advertised so much that a lot of gets tuned out or fast forwarded. With live Periscopes and crew ambassador reviews, the hope is the public will take notice because this is not a traditional kind of ad.